A pioneering producer will reveal to University of Northampton students how she broke into and thrived in the male-dominated music industry and what it was like to work with Icelandic superstar Björk. 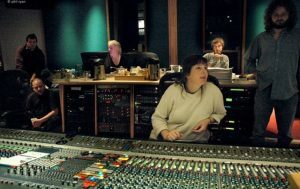 Kirsten Powell, who worked on Björk’s Post and Homogenic albums, will be taking part in a Q&A before leading a mastering workshop with Music undergraduates, when she comes to campus on Wednesday 7 March. Kirsten is keen to pass on her advice to female students hoping to forge a career in studio production. “Be determined, ask lots of questions, get to know your job thoroughly and then do it confidently,” she said.